There’s a number of reasons why your garage door can have an issue. The main factors are the age of the garage door and of course, the weather. The age of the garage door components are a factor and the reasons are simple. For example, your garage door springs have a time limit. 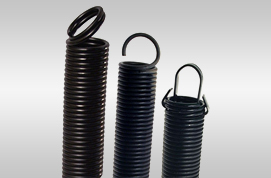 Both extension and torsion springs last anywhere from 5,000 to 10,000 cycles. This means the garage door opening and closing. Moreover, the more drastic the weather changes the less the components will last. It’s just one of the ways nature works against us. Fortunately, we’re here to help! Garage Door Repair Santa Clarita can replace any component of your garage door that might malfunction. Call us 24/7 at (877) 216-4134, we can repair or replace any garage door component. Whether you have a commercial or a residential gate, our professional service is available. You can have the peace of mind of knowing your garage door will work properly again. Furthermore, you can be assured that we are licensed, insured and bonded. With our round-the-clock service backed by a 100% Money Back Guarantee, you can’t go wrong with giving us a call. As we mentioned above, we also service commercial garage doors. Our commercial services come fully-featured with a warranty and our 100% Money Back Guarantee. This includes all the parts. Whether your garage opener is on the fritz. Or if on the other hand, your springs have snapped or your cables have broken. Our professional technicians can repair and replace any component of your garage door that is disrupting your business. No one likes to have to wait to have access to something that was readily available the day before. You can rest assured that our technicians can get your business back on the right track. If you’re interested in learning more about our services, don’t hesitate to give us a call. As mentioned before, we’re available around-the-clock for just a situation. Besides the garage door, the springs are one of the essential parts when it comes to the garage door. This is because, unlike what most people believe, the spring creates the necessary force or power to move the garage door. The opener simply moves the garage door on its track. There are 2 springs used for the garage door system. They are the extension and torsion springs. Both of these springs have their use and knowing which on of these springs you have installed can help us get the right spring for you. But if you don’t have any idea which kind of spring you have installed, don’t worry. It’s simple to identify. The torsion springs install above the garage door and are the only springs that work with a Jackshaft opener. While the extension springs, install right beside the garage doors. After identifying measuring them would be the next step to finding the right springs for your garage door system. While we recommend knowing as much as you can about your springs we’d like to inform you about the dangers of changing a spring. If you don’t know how to exactly change a garage door spring, you shouldn’t attempt it. It can be extremely dangerous for the garage door spring. Not to mention, installing a spring wrong can cause a serious problem down the line. Fortunately, we offer you peace of mind in knowing your springs will continue to work down the line. Don’t hesitate to give us a call today! Besides our other services, we also offer garage door opener repair and installation. Here we will focus on our repair service. If you’d like to know more about our installation services click here. 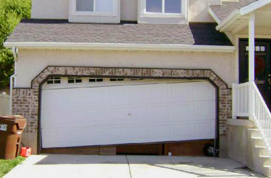 Garage Door Repair Santa Clarita offers garage door repair services for the following opener. 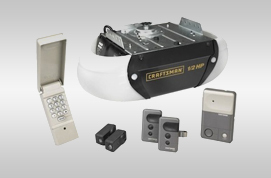 Chain drive, belt drive, screw drive and Jackshaft garage door openers. 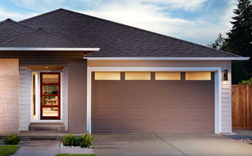 We’ve partnered with all major garage door brands like LiftMaster and Genie. This means all our technicians are prepared to deal with any opener. Although, if your opener is beyond repair, our technicians will suggest a replacement. Of course, this is only if your garage door opener is beyond repair. We’re ready for your call today, don’t hesitate, we’re avaialable 24/7! 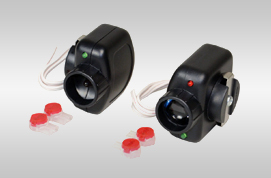 Safety sensors for the garage door are like they eyes of the garage door system. The sensors emit an invisible light, that when crossed will alert the opener. This then causes the opener to stop, and reverse its motion. This is a useful feature if you have children or small pets. They can be a little unpredictable so having a feature like this on an opener is absolutely necessary. As a matter of fact, it’s the law. When they malfunction the most common way of finding out is because your garage door simply won’t move or it won’t close. Simply lining the sensors up will allow you to get the garage door working again. Although, if that doesn’t get it done you can give us a call. We will attempt to fix the sensors if not, we can simply replace the sensors to get your garage door working again. We’re available 24/7 so give us a call to get our premier garage door repair services. If your garage door looks like the image on the right. That means it’s come off its track. There’s a number of reasons why the garage door would do this but the most common are the garage door springs breaking. This causes the garage door to lose balance and come off its track. If this has happened to you don’t attempt to operate your garage door! It can be very dangerous and will cause more damage to the rest of the components of the garage door. Instead, give us a call. Again, we’re available 24/7 with emergency services available for those in need. 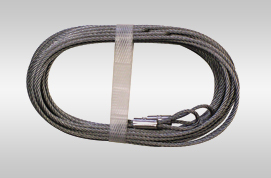 One of the other causes for your garage door not working the way it should is the garage door cables. This is because they are inclined to get stuck if the cables weren’t installed properly. Another reason would be fairly easy to spot. The cables themselves may have just broken. If it’s broken or it has come out of its spool, the garage door will simply not work. Garage Door Repair Santa Clarita can deal with all of your garage door cable issues when they arise. Don’t wait until the problems get worse give us a call today! The garage door panels are the garage door itself. Of course, if you have a sectional garage door. One of the benefits of having a sectional garage door is the fact that if one of the panels has been damaged, you can simply replace the panel. 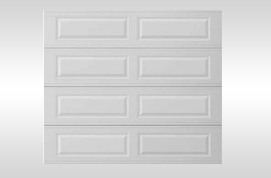 We offer garage door panels from all major brands to ensure you that we can replace your garage door panels. Damage to the garage door panels can happen for any number of reasons. Including abuse, an accident, or radical weather. No matter what caused the issue for your panels, we can guarantee that your problem will be fixed. Although it’s important to note, if your garage door panel is no longer manufactured we will offer a close fit or a complete replacement. You can decide where to proceed. Call us to schedule an appointment and get your garage door panel issues sorted out today! 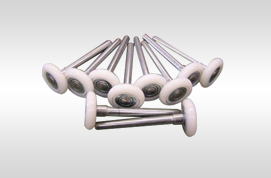 There are a number of different types of garage door rollers. Although, they all do the same job. They allow the sectional garage door to move on its track. Like all the other components they are subject to time and they will wear down. You can extend the life of your garage door rollers by simply using a garage door lubricant occasionally. 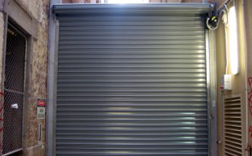 Nevertheless, if the rollers on your garage door system are causing a problem don’t hesitate to call. We can become your go-to company anytime you have any kind of issue on your garage door. Including the rollers! As noted before, give us a call we’re available 24/7.